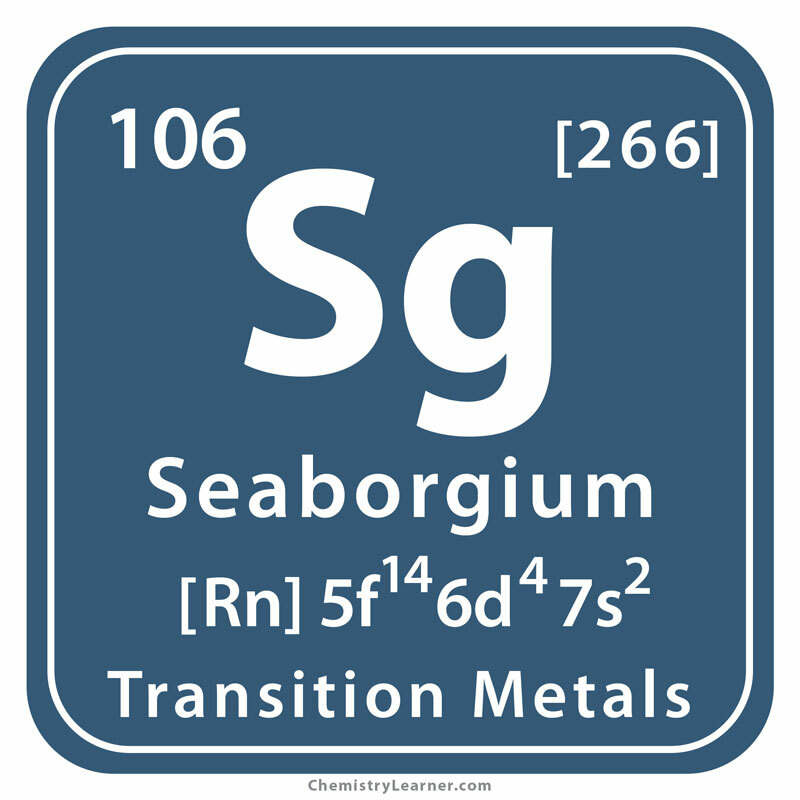 Seaborgium (pronounced as see-BOR-ghee-um) is a synthetic radioactive metal, denoted by the symbol Sg, belonging to the family of transuranium elements [1, 6]. 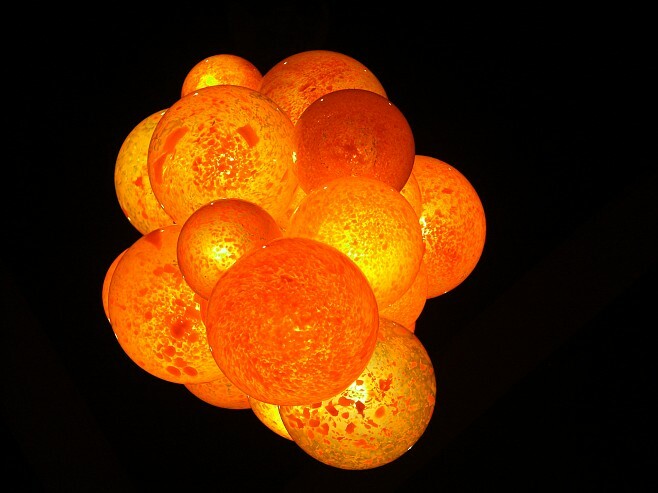 Though not much is known about its chemical properties, they are assumed to be similar to tungsten and molybdenum. 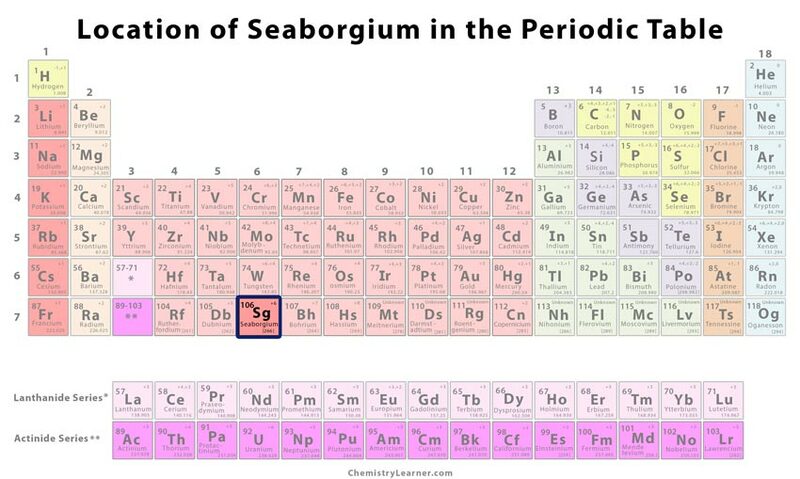 It has twelve isotopes of which the most stable one is seaborgium-271, with a half-life of 2.4 minutes. It undergoes decomposition naturally through alpha decay to form rutherfordium-267 . It is named after the American scientist and Nobel Prize Winner, Glenn T. Seaborg. Albert Ghiorso, along with his team of scientists, discovered it in 1974, at the Lawrence Berkley Laboratory, Berkeley, California, US. They bombarded atoms of californium-249 with ions of oxygen-18 with super heavy ion linear accelerator to produce seaborgium-263. This discovery was confirmed in 1993, earning Ghiorso and his team the due credits . As only a few atoms of the element have been synthesized, and it cannot be found freely in nature, it does not have any commercial uses other than in basic scientific studies. However, it may have dangerous effects due to its radioactive nature [1, 3]. 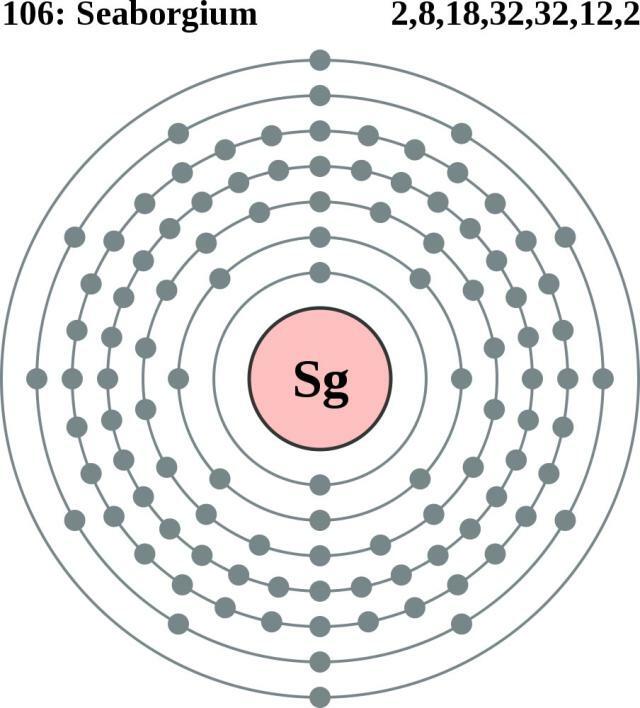 Sg is considered to be the heaviest element in group 6 and the third one in the 6d series of transition metals. 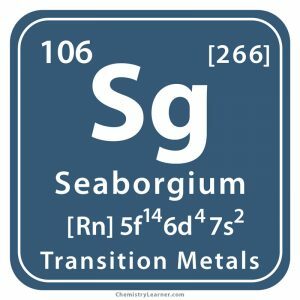 As Seaborgium was named after a living scientist, it led the IUPAC to pass a rule that no element should be named after a living person. However, the ruling was soon removed, keeping einsteinium in mind, another element named after Albert Einstein during his lifetime . In 2014, some research groups from Mainz and Darmstadt at the RIKEN Nishina Center for Accelerator-based Research (RNC) in Japan established a chemical bond between seaborgium and a carbon atom for the first time . 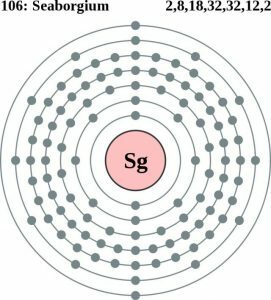 Since Sg does not exist naturally for its short half-life, it cannot be availed outside of nuclear laboratory production.